Milbank Gutter wiring trough with screw cover, has 16-Gauge G90 galvanized steel construction with ANSI 61 gray polyester powder-coated finish for corrosion resistance and durability. 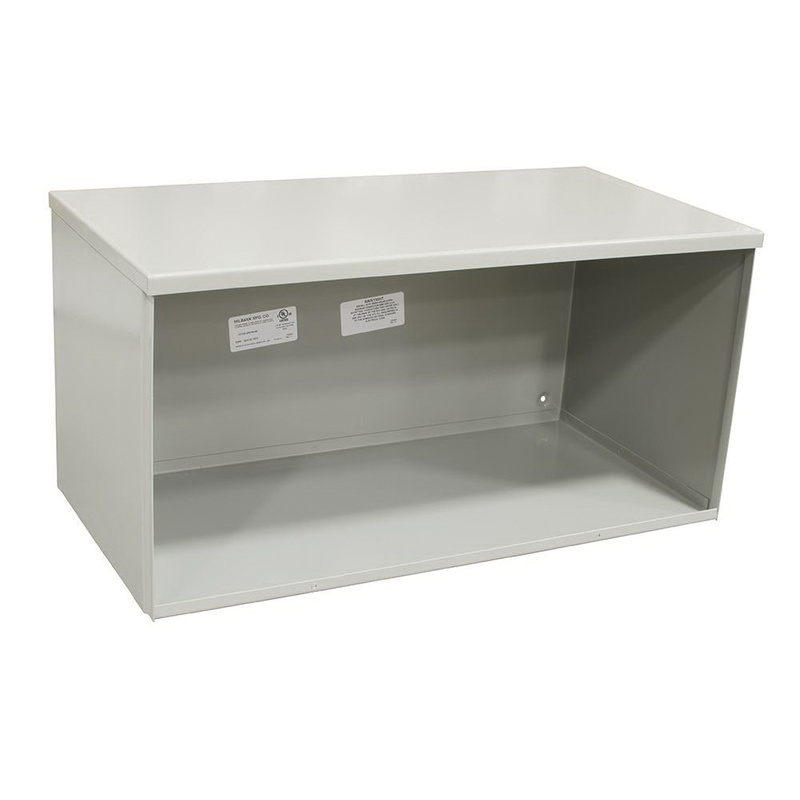 The wiring trough measuring 4-Inch x 4-Inch x 48-Inch, has NEMA 3R-rated outdoor enclosure for safety. This wiring trough protects wiring in outdoor installations against rain, sleet or snow and indoors against dripping water. Gutter wiring trough meets UL 870 and CSA standards.